Passions outside of work: Riding a motorcycle, a scooter, and a bicycle. Traveling in general. What made you decide to relocate to Belgium? I was inspired by the work-life balance in Belgium. I have been living here for three weeks. How did you search for a job in Belgium? What was the role of Relocate.me in the process? I was looking for a new software developer job somewhere in the EU and came across one at Relocate.me that fit me the best. I applied for it without delay. On Relocate.me, I also learned what I could expect in terms of relocation support. It’s incredibly helpful! I already recommended the platform to my friends. Tell us a little about the selection process for the position of Software Engineer at Showpad. How many interview rounds did you have to pass? There was an HR interview. Then there was an interview with the CTO that was very cool! We discussed my code on GitHub. Next was a general interview with one of the company’s managers. I was invited to come to Ghent for a day (flight expenses were covered by the company) and complete a test task. Finally, there was an on-site interview in Ghent with various people. I received my job offer two days after the on-site interview. Each of the stages took about a week. The hardest and most exciting one for me was the test task. Going through all that, what advice would you give? Be honest and keep trying. Really nice, open, and hospitable people. Everyone here understands that relocation to another country is a serious step. They are always supportive and ready to help. The team is mostly comprised of local developers, however, there are some from abroad — from the USA, England, and the Netherlands. It started as a startup, but today Showpad is a close-knit team of 200 workers based in the US (Chicago and San Francisco) and London. I am so happy to be part of it. I applied for the type B work permit. An application must be submitted by an employer, so the visa process for me was really easy. I just sent two documents to my employer: a translated copy of my university degree and a special medical certificate. The latter has to be less than three months old and be issued by a clinic/hospital accredited by the Embassy of Belgium. There are only four of them in Russia. Overall, it took about two weeks to finish the process. What are three things that impressed you the most about Belgium? The attitude towards the environment (the tidiness everywhere); people’s kindness and willingness to help out; the excellent work-life balance. Is English enough to carry on daily life in Belgium? I haven’t met someone who couldn't understand me. Belgians speak Dutch, French, and English. The working language is also English. According to Number, the average cost of rent for a one-bedroom apartment in the center of Ghent is €700. Is that true? Yes, it's something around it. I'm living in the center of the city in a studio flat for €660 a month apart from gas, electricity, and water. The overall cost is about €800 a month. Locals say to me that it’s too expensive and it’s possible to find a cheaper variant. I just didn't want to waste time so I decided to stay here. 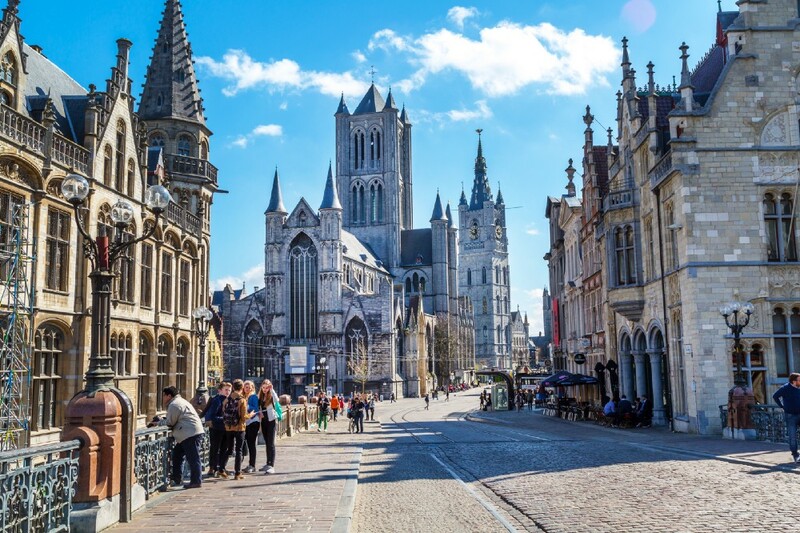 In general, is it hard to find an apartment for rent in Ghent? Could you name a couple of websites to search on? The sites are mostly in Dutch, but every person here speaks English. Don't hesitate to contact them in English. 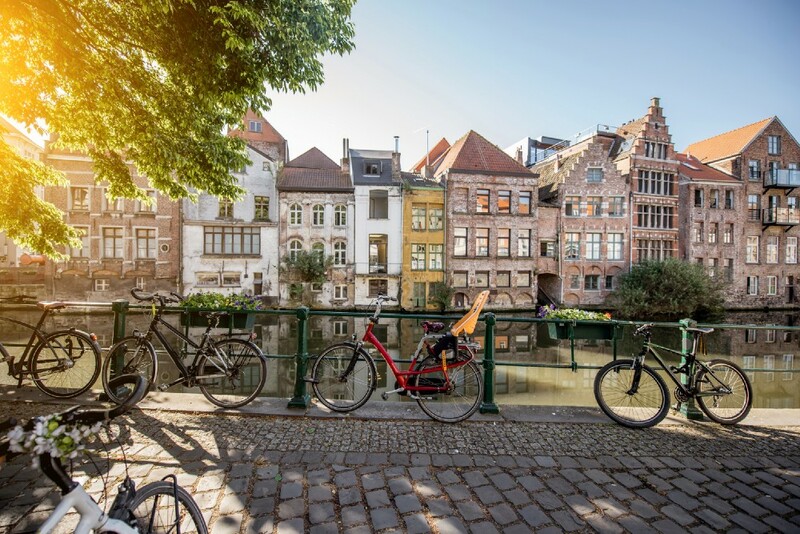 If you had to define public transport in Ghent in 2 or 3 words, what would they be? What is the average software developer salary in Belgium? In Belgium, salaries are not a thing that is openly discussed. However, for a mid-level software engineer, I suppose that figure is €2500 (gross). If you are single, taxes for you will be about 40%. From my experience, I can say that the salaries offered are sufficient to live comfortably here — all your personal needs will be met. In your opinion, what kind of skills and qualities are the companies looking for in software developers? What was your recipe for success? First off, be open, kind, and show that you are ready to learn something new. Companies are looking for someone for a long-term position and they can be very picky if you're a foreigner. However, Belgium has a shortage of tech workers so companies are always after skilled software engineers.